Try explaining to a 7 year old why he can’t have a pre-packaged lunch. If that’s what it takes to make sure that my son doesn’t have another allergic reaction to red dye or eats foods that are bad for him then I’m willing to deal with it. But, why does it have to be this way? Why do I have to take the blame just because I want my children to eat healthy? And, does no one think that there are times that I’d just like to grab a box out of the refrigerator, toss it in the lunch box without feeling a mountain of guilt? I’m not alone. A recent survey found that 88% of parents thought pre-packaged lunches were convenient (I can’t imagine why that number isn’t 100%!!) but 79% of those parents were concerned about the nitrates, preservatives and artificial ingredients. 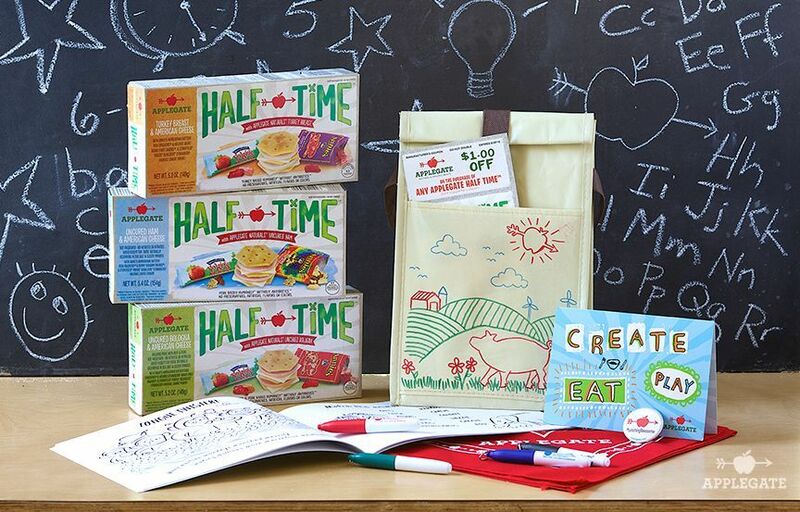 Cut to 2014 and Applegate’s newly released pre-packed lunch HALF TIME. 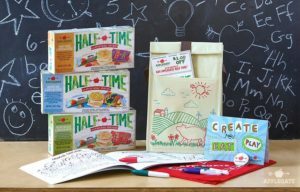 With a combination of Stonyfield Farms yogurt, Annie’s snacks and Applegates lunch meats and cheese, Half Time has all the products I put in my children’s lunch in one box. (It’s almost like the Applegate creators have heard my silent pleas!) HALF TIME is the first natural and organic pre-packaged lunch option and I am so happy. My three children have tried the Turkey Breast, Uncured Bologna, and Uncured Ham HALF TIME varieties and LOVED all of them. As for me, I’m ecstatic that I finally have a pre-packed lunch that won’t make my son break out in a rash, won’t make me feel guilty and has products that I trust. 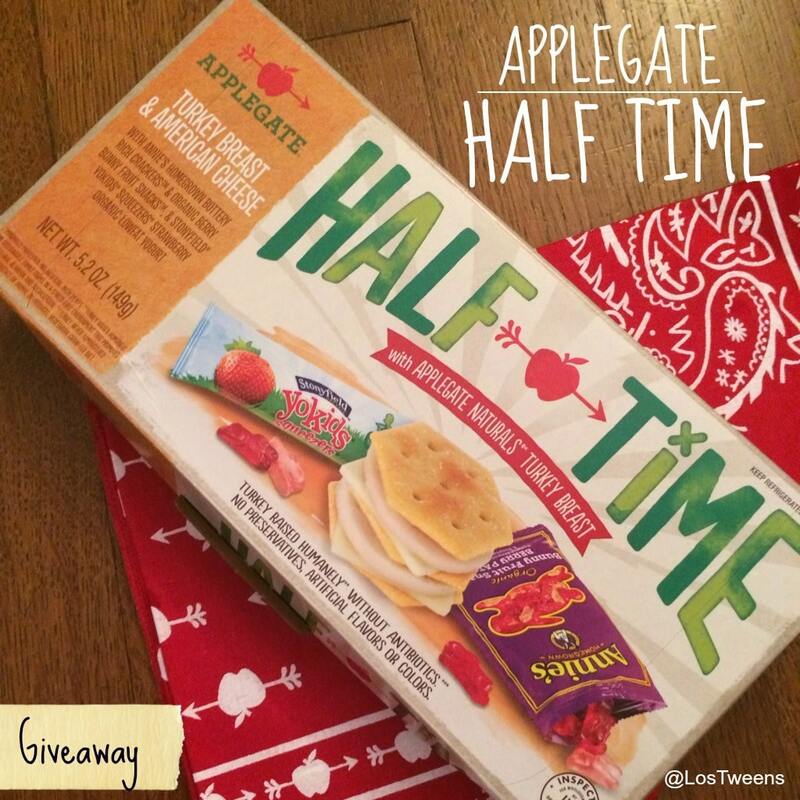 Want to try Applegate’s HALF TIME? Enter the giveaway below. When? Giveaway begins September 11th through midnight on September 18th. How to Enter: Leave a comment below sharing your biggest challenge on school mornings, enter your information into the Rafflecopter widget AND be sure to check for additional entry options. Limit to residents of the United States, 18 years of age and older, one entry per household. 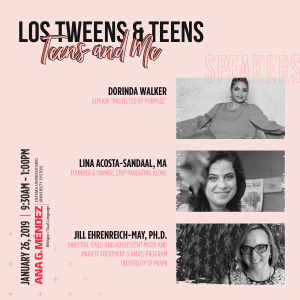 This entry was posted in Fitness and Health, Ideas, Product Reviews, Raising Tweens and tagged Applegate, Food, healthy, Healthy Ideas, Lunch, Parenting, parenting advice, School Lunch. Bookmark the permalink. We actually have toddlers and preschoolers and are planning on homeschooling… BUT our biggest challenge on days we do school is getting motivated to start! That’s the hardest part! Getting my oldest to actually eat something! She’s not hungry in the morning, but she gets headaches if she doesn’t eat. I actually have a toddler, but the biggest challenge is make him wake up early, because it is so hard for him to be in a good mood when someone else wakes him up. Plus I have to get everything ready to leave. At least I normally leave everything ready the night before, but getting this guy to wake up is the challenge. The hardest part is the kids fighting over every little thing in the morning instead of getting ready. Mine is getting everyone out the door on time. The biggest challenge is keeping the kids from fighting at the breakfast table. I have forbidden them to talk to each other before school. 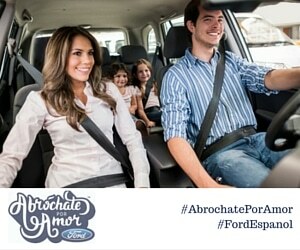 No matter how much we do the night before, it always seems like we are in a rush to get out of the house on time. feeding kids a healthy breakfast and making a healthy lunch and getting to school on time! Biggest challenge – getting them dressed in clothes I lay out – they are already trying to make their own fashion statement at 6 and 4! Also -making lunches that they will eat, but are healthy and quick is the trick! None can doubt the veiracty of this article. My biggest challenge is getting everyone up and having breakfast on tiime. The biggest challenge in the morning is making lunch. I am a food safety fanatic. I am very careful about what is packed for lunch and the temperature of the food. So, I never pack a lunch without thought. My biggest challenge on school mornings sometimes is getting a healthy breakfast on the table. Sometimes my morning are so rushed they feel so hectic. I think making freezer breakfast meals would help. The biggest challenge is getting my toddler to eat veggies! My biggest challenge on school mornings is getting my kids out of bed. Getting everyone dressed and out the door! My biggest challenge is getting everything together and everyone out the door on time. The biggest challenge is getting the kids out in a timely matter. We homeschool but it is still a challenge to get them fed and start school in a timely manner. My biggest challenge is getting my teens out of bed and motivated. Waking up is the biggest challenge. Hitting the snooze button on the alarm clock.. The voice of raliinatoty! Good to hear from you. Well, there so many ways,so I won’t be able to tell you how much it costs.LOLThere are many kinds of DJs and skills. I would suggest searching for a ‘DJ School’ for more info on how to and what gear you would need.All the best! My biggest challenge is making sure that everyone has what they need for school like any signed papers or permission slips which they might have forgotten to give me. My biggest challenge in the morning is waking up.